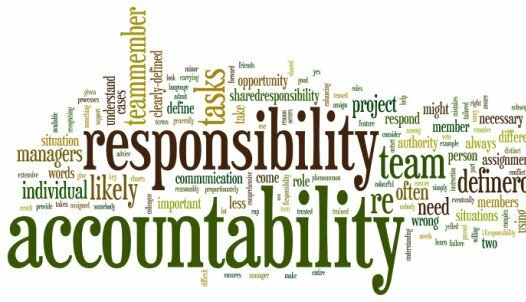 Accountability or Responsibility: Which Comes First? The third component for enlightened leadership is accountability. As a consultant and executive educator I get to talk to a lot of leaders in different industries and levels within the organization. A common thread is the desire to increase employee accountability. Upon further investigation we often find the issue is not necessarily a lack of accountability but a lack of responsibility. In No-Drama Leadership I make a distinction between responsibility and accountability. Responsibility is about ownership while accountability is about measuring results. You can measure all you want, but if the employee doesn’t take ownership, they will simply learn how to beat the system. Also, if your corporate culture is such that accountability is used a punishment rather than a means to learn and course-correct, you will experience high turn-over, or non-compliance. Accountability has to be used appropriately and in the right order for it to work properly. Enlightened leaders know how to walk that razor’s edge between motivating, and measuring. Responsibility (ownership) must come before accountability (measurement) has any power. Leaders who have it backwards try to use accountability to force responsibility and it almost never works. In fact when you use accountability as a fear tactic, you get people skewing the numbers and cheating simply to beat the system. I certainly saw a lot of this type of activity in my 21 years on the factory floor, and I know exactly how to take the fear out of accountability. 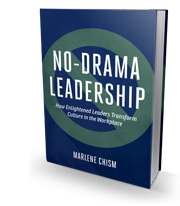 In fact, I give you a formula in No-Drama Leadership to do just that. 1. How is accountability viewed in your workplace? 2. What do you need to do to increase a sense of ownership? 3. What kind of leadership development is needed to walk the razor’s edge between motivation and measurement? 4. 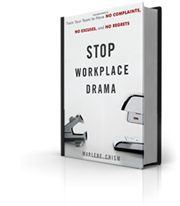 Are your employees cheating the system? If so why? Wow, something so practical. Thank you, thank you, thank you.